It’s December and for many professionals an office party or get-together is on the cards. Whether this fills you with dread or excitement, it would be fair to say that company parties can sometimes be a complicated night to navigate. If you are unsure what to expect or what is expected of you, then ILSPA’s list of advice on Christmas party etiquette is here to help. 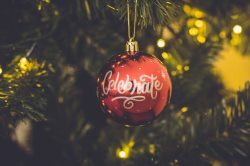 Christmas parties can be a fun distraction from the normal working day but they can also be a great opportunity to network, get to know your colleagues and set yourself up for the coming year. Here are our dos and don’ts for the Christmas party season. Don’t give it a miss. This may sound like a surprising one to start the list with but it is not uncommon for people to try and get out of attending all together. No matter what your reasons for avoiding it, we strongly suggest you do attend. It is polite for the person who has been tasked with organising the do and it is a great opportunity to get to know your colleagues in a more relaxed setting. Do use it as a chance to step out of your comfort zone and network. Parties are one of those rare occasions when the whole company is socialising and spending time together. It is the perfect opportunity to spend time with senior people who may normally be harder to mingle with. Don’t spend the whole event with your own team. Similar to the above point, parties are a wonderful chance to meet and bond with others you don’t normally interact with on a daily basis. Don’t spend the whole night with people you already know, get out there and mingle with other teams or departments. The bigger your close network is at work, the more opportunity there is to learn more skills. Do talk about something other than work. When you are out there mingling and making your new connections, don’t be afraid to still relax and talk about things other than work. Yes, the party is a great networking opportunity but it is definitely not the time to talk about your current project, pay rise or promotion. Just relax and chat with people. They are far more likely to remember you fondly for a polite conversation rather than a professional pitch. Don’t over indulge. Whether it is wine, food or gossip, remember this is a work event and a level of professionalism is still required. Do check the dress code. Companies like to change their parties each year. What may have been a casual cocktail party last year could be a black-tie sit-down dinner this time. Pay attention to the dress code and follow it. It is respectful for the person who planned the theme and shows that you are joining in with the company culture. It also avoids the embarrassment of being the only one not dressed appropriately. Don’t bring a plus one unless specifically told to. Whether it’s because of numbers or because the company has chosen to keep it for employees only, it’s best not to take a plus one unless you have been given specific permission beforehand. Do say thank you. The party is probably a culmination of weeks of organising for the people tasked with planning it, so don’t forget to say thank you to them before leaving. It is also a good idea to say thank you to the management. It makes a good impression and is courteous to thank the people who have hosted and paid for the party. Don’t be late or absent the next day. Considering that the whole company will have been present at the event the night before, it will be all too noticeable if you are the one missing from work the next morning. Whether it’s because of the late night or a legitimate dentist appointment the day after the Christmas do, it is not a good day to choose for annual leave. And finally, do have a great time and celebrate 2018!